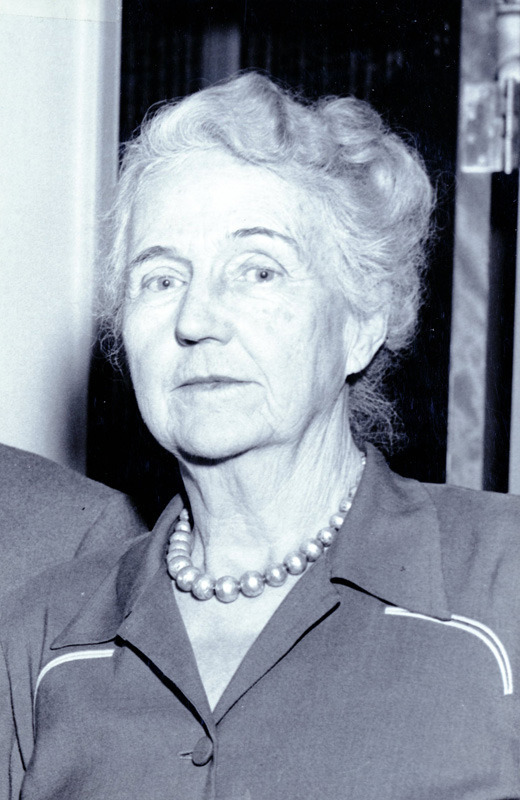 Mary Maxwell Armstrong’s intelligence, insight, and perseverance made her an influential figure in twentieth-century Waco. Her determination combined with her love for great literature aided in the establishment of a world-renowned library on Baylor University campus. Mary Maxwell Armstrong was born at Buena Vista, Texas, on September 21, 1882, the tenth child of Baptist minister Wilder Richard Maxwell and his wife Melissa Anne (Williams) Maxwell. After attending Baylor University and receiving a bachelor of arts degree, she completed additional coursework for one summer at University of Chicago. When she finished her coursework, Mary began to teach at East Texas Baptist Institute (ETBI) in Rusk, Texas, where her brother served as president. In 1902, she met her future husband, Andrew Joseph Armstrong, who taught at ETBI while pursuing his PhD. On January 24, 1911, Mary married A. J. Armstrong and they moved together to Georgetown, Kentucky, so he might resume his professorship at Georgetown College. The Armstrongs shared an impressive dream of amassing a collection of the works and materials of Robert Browning and Elizabeth Barrett Browning and establishing a library. 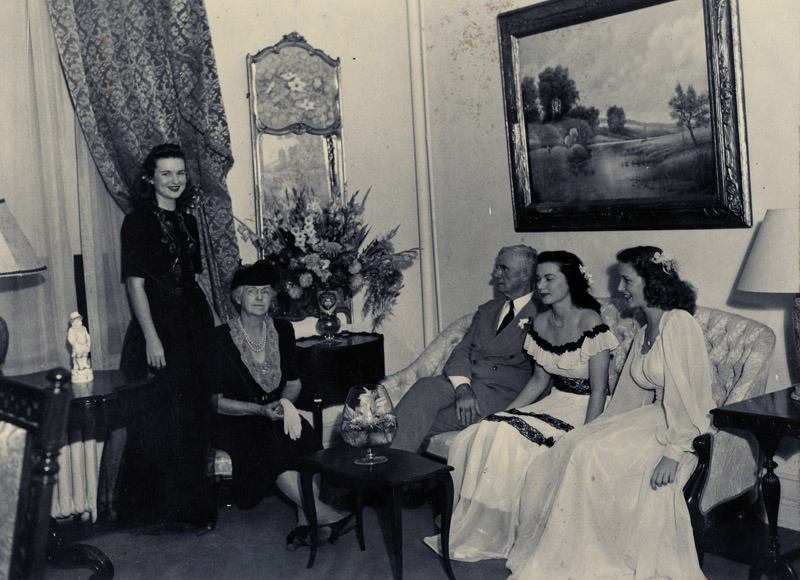 In the fall of 1912, A. J. Armstrong accepted a full-time position at Baylor University, and the couple moved to Waco in order to realize their goal of establishing the library. Together, the Armstrongs raised the funds to construct a building to house the materials. They also toured Europe twenty-nine times in search of materials to add to the collection. When her husband fell ill, the bulk of the consulting work with the architects, builders, designers, and stained glass experts during the construction process fell to Mary. 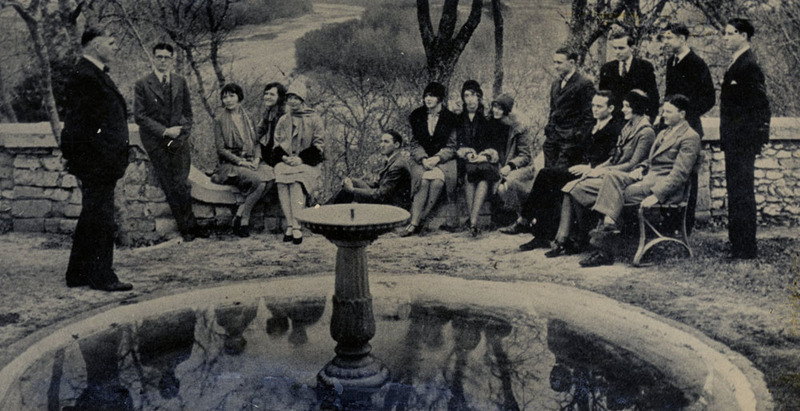 The dedication of Armstrong Browning Library on December 3, 1951, realized the Armstrongs’s dreams. The library is widely considered to be the largest accumulation of Browning materials in the world. 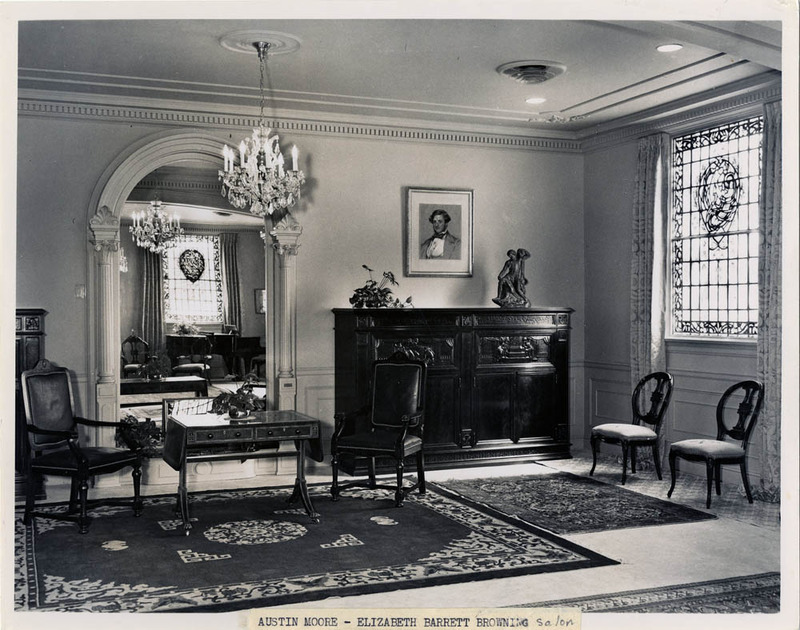 Mary’s influence is strongly evident in the design of the Elizabeth Barrett Browning Salon and many of the ornate stained glass windows visible throughout the building. 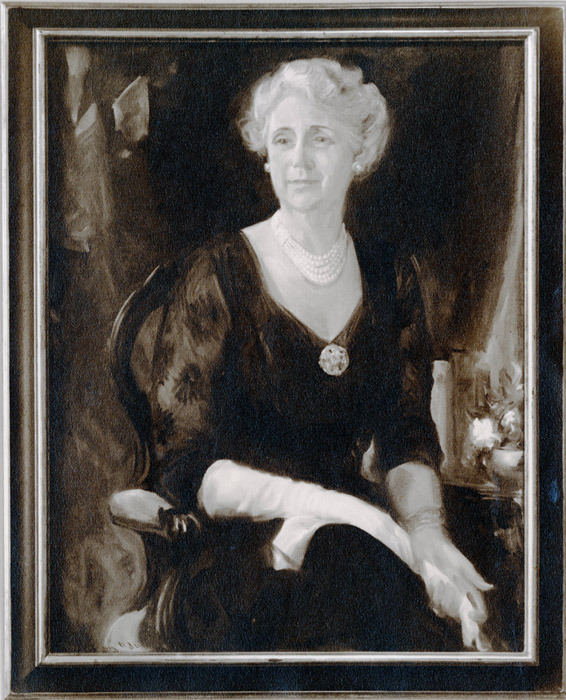 Following the death of her husband in 1954, Armstrong served as director of the library for five years. After retiring in 1959, she served as a special consultant for her successor, Dr. Jack Herring, and kept an office in the library. She resided at 116 North Thirtieth Street (as indicated on map) until she moved to Pennsylvania in September of 1966 in order to reside with her son's family. 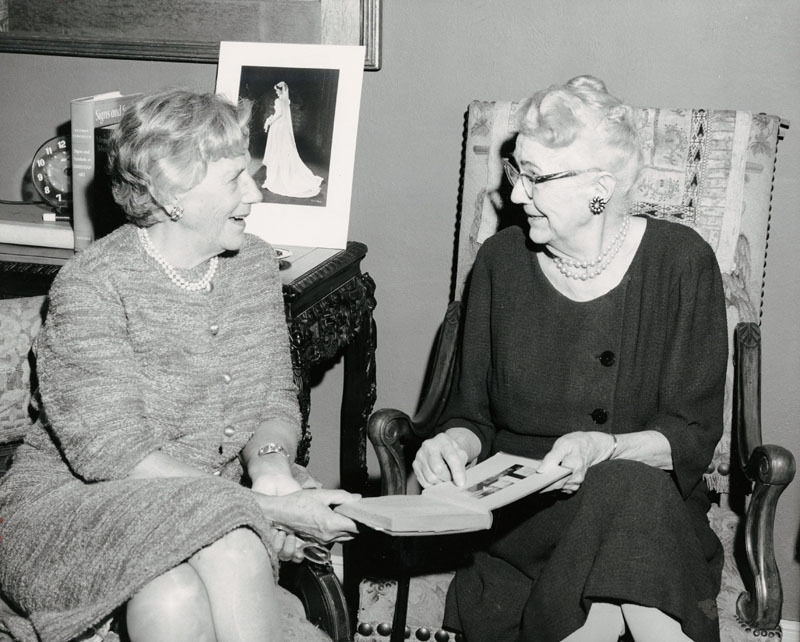 Though often noted primarily for her work on the Armstrong Browning Library, Mary M. Armstrong was a highly involved member of other areas of the community as well. She taught freshman English at Baylor University for a number of years and also served as a member of Baylor Round Table, Daughters of the American Revolution, and as an honorary member of Waco Woman's Club. She passed away on September 1, 1971, in Philadelphia, Pennsylvania, and was buried in Waco's Oakwood Cemetery. 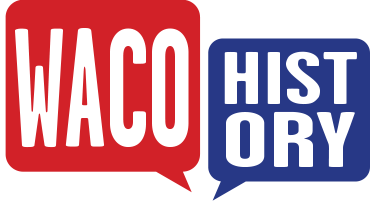 Dayton Kelley, ed., The Handbook of Waco and McLennan County, Texas, “Mary Maxwell Armstrong,” Waco History, accessed April 19, 2019, https://wacohistory.org/items/show/88. A version of this article originally appeared in the Handbook of Waco and McLennan County, Texas. Coley, Betty A. “Armstrong, Mary Maxwell.” Handbook of Texas Online. June 9, 2010. https://tshaonline.org/handbook/online/articles/far28. Accessed May 1, 2015.